Fraud and identity theft dominate the headlines of news and social media, and with good reason. Learn how to protect your assets and identity with helpful tips and statistics that you can apply right away. Identity fraud numbers are rising, and in 2016 alone there were 15.4 million victims of identity theft, fraud, and breaches (over 4,200 cases each day). From those victims, $16 billion was stolen using the stolen information from consumers and businesses. With the obvious dangers of having sensitive information in another’s hands and long-term financial impacts of losing it, the importance of protecting these documents is clear. Identity fraud incidence rates increased by a record-setting 16% between 2015 and 2016. Roughly 1 in 16 adults and more than 80% of businesses were affected. Average fraud and breach cases are estimated to cost companies $3.6 million. The majority of affected businesses lose out on 5% of their annual revenue to fraud. In 2016, 28% of incidents were caused by human error, and 47% were the result of malicious attacks. Use a system and set of policies for tracking and managing your sensitive documents. Many have specific retention times, and once they expire information should be destroyed. Certificates detail the specifics of shredding projects, including who did the shredding, where and when, chain of custody, and witnesses to the destruction to ensure all chances for fraud are snubbed out. Know what type of sensitive information you maintain and be sure to keep up on current laws regulating how they need to be stored and when they should be shredded. Cross-cut shredding makes discarding paper shreds more secure since it creates more, and much smaller shreds. Among mobile, offsite and drop off shredding providers, cross-cut is standard. Taking shreds to a recycling plant leaves them completely destroyed when they’re pulped and broken down into new paper. Most shredding services partner with recycling plants, providing “green” fraud protection. 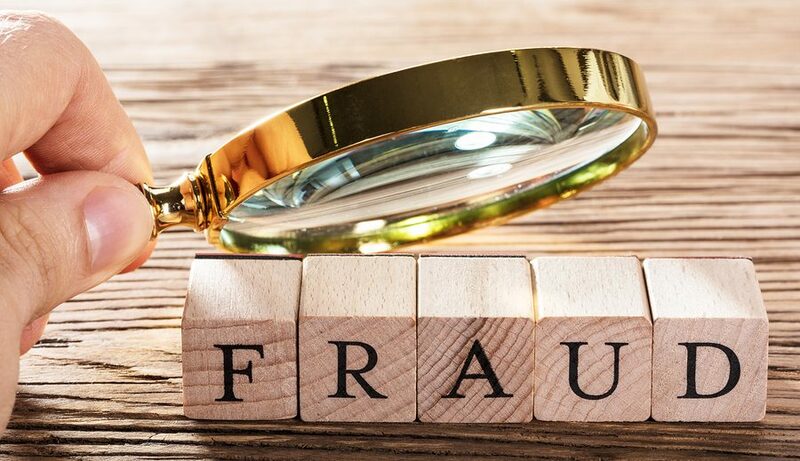 Ranging from losing revenue on minor thefts and accounts being falsely opened to having personal information stolen and distributed on the dark web, identity fraud itself leaves an expensive scar. Because the odds of a security breach or large-scale theft becomes much smaller when you’re sure to destroy sensitive information safely before disaster strikes, you’ll dodge multi-million dollar fines. Maintain your reputation: It’s an indirect effect, but major identity fraud and breach cases cause serious damage to an organization’s security reputation. Customers and partners may be reluctant to work with you, leading to losses down the road. A common use of stolen personal information is for fraudsters to open false lines of credit and banks accounts in the victim’s name. With results including drops in credit stores, an attack can cause loan troubles and other financial impacts. Are You Taking Proactive Steps to Prevent Fraud and Theft? Companies like Amazon, Apple, Coca Cola, and countless others have used our shredding services to fight fraud and identity theft. Join the fight today and begin protecting your valuable, personal information with shredding service professionals based in your local area. To get your free, no-obligation quotes in just minutes, give us a call at (800) 747-3365 or fill out the form on the right.